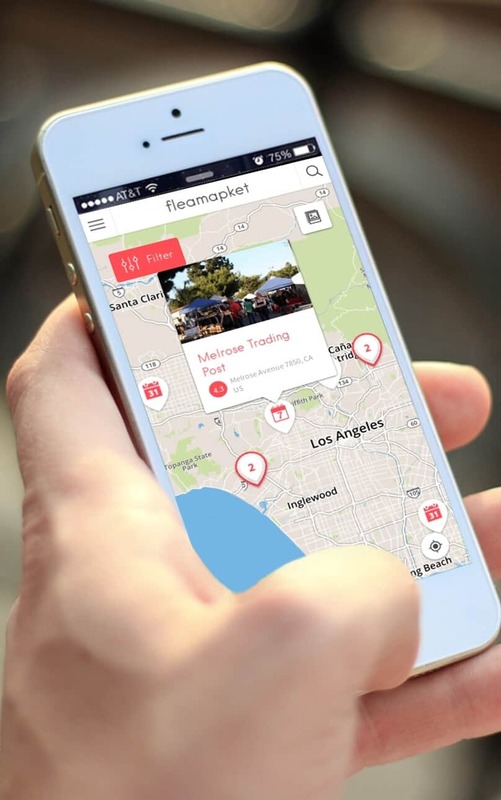 Flea Market In Your Pocket: Depop 3.9090909090909 out of 5 based on 11 ratings. 11 user reviews. If you like strolling around yard sales and flea markets on weekends, but the cold winter season is keeping you at home, be advised that there are a few smartphone apps out there that allow you to shop second-hand items, used furniture and appliances or general antique in your neighbourhood, 27/7, and directly from the convenience of your mobile while you are on the go (or staying warm at home). So far we have identified 7 iOS and 3 Android apps that make buying and selling second hand items extremely simple and fun! 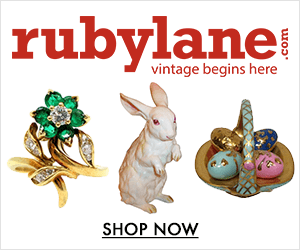 Let’s have a closer look at each of them in our new special review: “Flea Market In Your Pocket”. 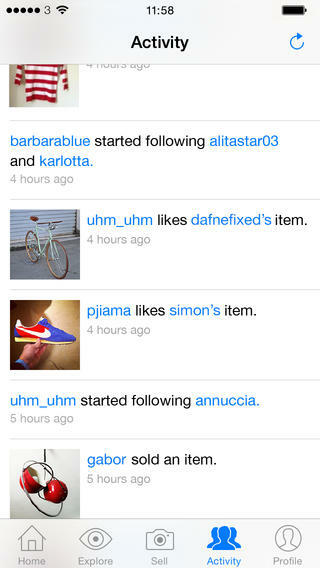 Selling an item via the Depop marketplace is free and follows a familiar user-path. You take a photo using your iOS or Android device (or choose an existing one from your camera roll) and upload it. Then you enter a description and other information such as price, location and delivery details. 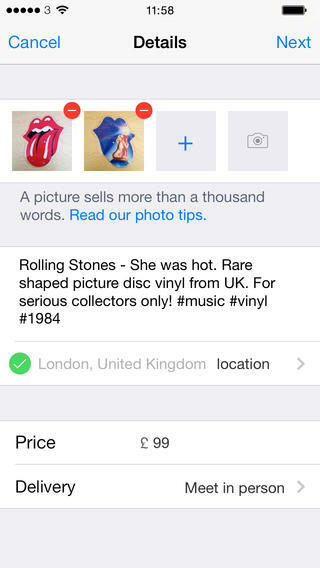 You also have the option to share the Depop listing via Twitter and Facebook. And that’s pretty much it. 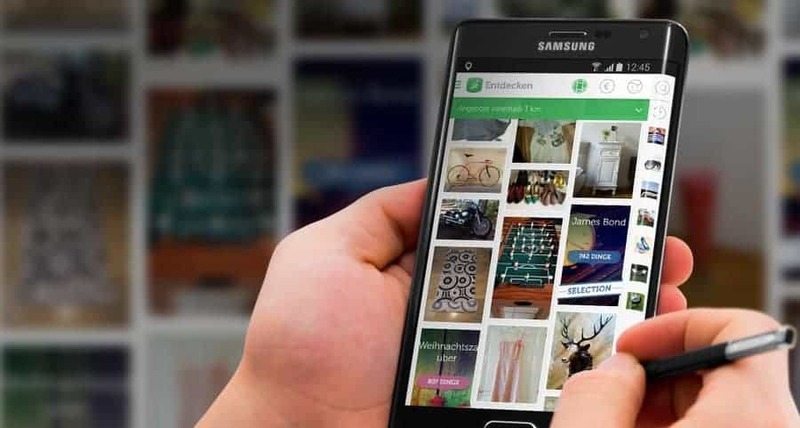 Interested buyers can search for or browse items — the app utilises a grid view of photo thumbnails in a nod towards the Pinterestization of the web. Once they spot something of interest they can read further details and start conversing with the seller to ask questions and even negotiate on price. Once a sale is agreed, the seller presses the “sell” button and a “buy” button then appears for the buyer. In that way, the seller has total control of who to sell to. 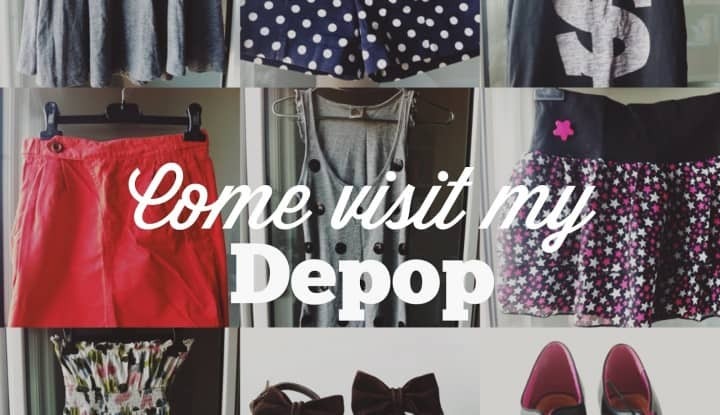 Unlike many other mobile “flea markets”, Depop does handle payment (via credit card/PayPal), taking a small commission, though the seller and buyer can still choose to exchange cash if handing over an item in person and bypass this aspect of the app, therefore doing business for free. Another aspect that potentially sets Depop apart from others is that — for now — it isn’t location-based, thus placing less emphasis on local. 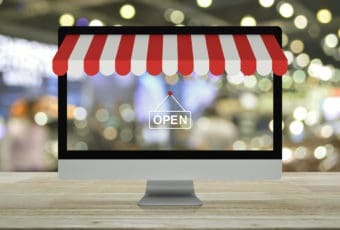 Hence the need to support online payments. Instead, social is at its heart. 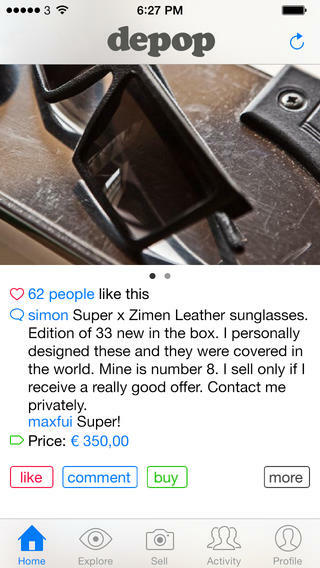 Users can follow other users, making it easy to see when your friends have something for sale, though this is in no way unique to Depop. 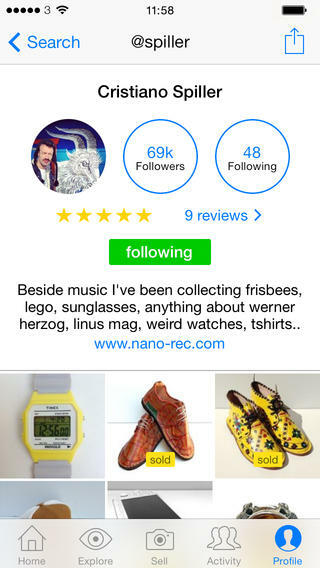 In the “flea market” mobile app space, Depop competes with Shpock [iOS & Android], Stuffle [iOS & Android], Osom [iOS only] and Wallapop (iOS & Android) in Europe, or Rumgr [iOS only] and Yardsale [iOS only] in the U.S., or Chile’s Vendly [iOS only]. We will cover each of these apps in separate reviews in the upcoming weeks. 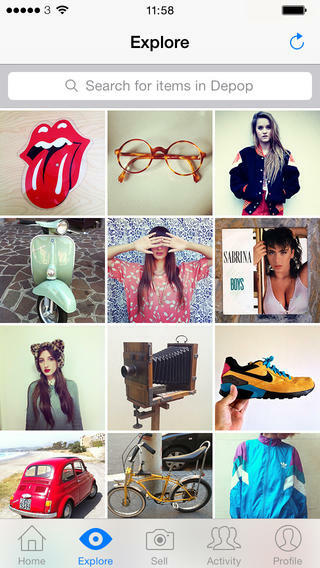 So stay tuned if you want to discover how to make the most of your mobile to thrift ! Compatibility: Requires iOS 5.0 or later / Android 4.0 or later. Compatible with Android, iPhone, iPad, and iPod touch. This app is optimized for iPhone 5. Very interesting app. I’m going to check it out and possibly let my readers know about it. 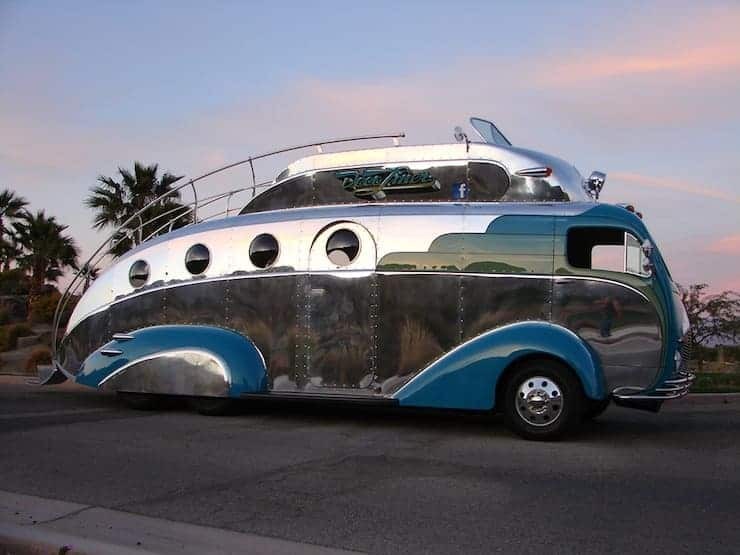 Could really enhance the vendor experience by allowing vendors to list items and then let shoppers know they can look it over and also purchase it at whatever flea market the vendor is set up at on that day.